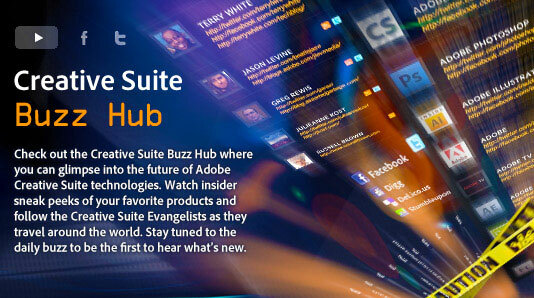 Following up to our popular post Tuesday on CS5 release timing, an alert reader discovered a new site launched yesterday morning called the Adobe Creative Suite Buzz Hub… It’s a ‘Twitteresque’ destination where you can follow and see official tweets for the products or evangelists you’re interested in. Facebook connections are there too, as well as an initial set of videos. 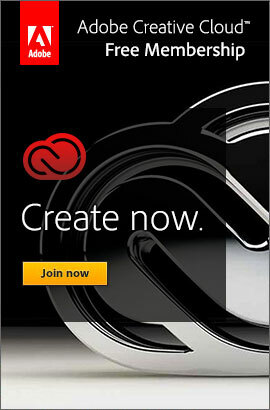 Thus far there are presentations on getting started with the design tool Flash Catalyst, which is new for CS5, plus Introducing BrowserLab, which allows you to easily preview and test your web pages on multiple browsers and operating systems on demand, and new script development app Adobe Story, both of which are in limited free preview. There’s also a humorous performance from Photoshop guru Russell Brown. Indeed, the software has traveled a long way. 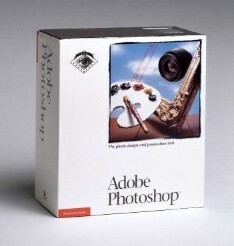 When it first came out, Adobe predicted it would sell just 500 copies per month. Yet now, over 90 percent of creative professionals worldwide have Photoshop on their desktops. The original authors say they knew they had a groundbreaking technology on their hands, but never anticipated how much it would impact the images we see all around us. 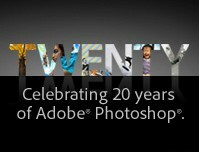 The current CS4 version of Photoshop is actually release 11.0 – so there have been ten major versions of the tool over the past two decades. And the flagship product is less expensive now than when it originally came out, even more so (less than half the price) when adjusting to 1990 dollars. 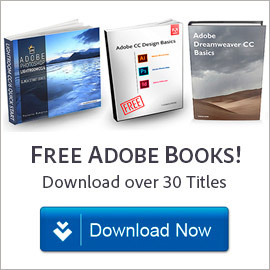 Photoshop together with Acrobat and Dreamweaver remain Adobe’s top three selling individual desktop products. 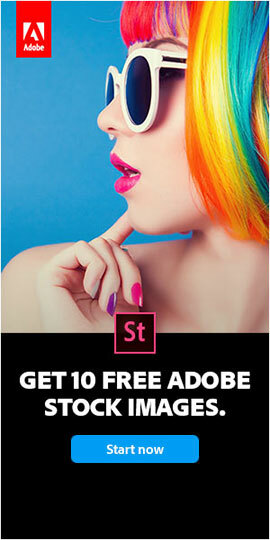 In honor of the celebration, Adobe is offering a couple new specials for the week… The first is free shipping on all Photoshop-family products in the North American commercial store. The second is free shipping on all Adobe products for the Europe and Australia commercial stores, with the promotion code adobeeu. All shipping offers are valid through Sunday, February 28th, and might be stackable with the 10%-off coupon code posted last week. Limited-time offer: Receive a savings of 10% on your Adobe Store order of a full or upgrade version of Creative Suite 4 suites, or individual CS4 point products – with coupon code 10offAdobe101. New creative features. Enhanced workflows. Incredible results. You’ve seen what Adobe Creative Suite 4 can do. 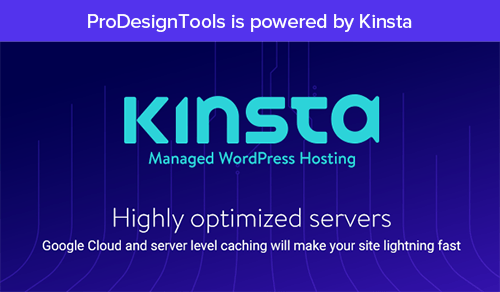 Now see what you can do with the industry-standard software used by top creative professionals worldwide. With 10% off on Adobe Creative Suite 4 suite and individual CS4 product purchases (either full or upgrade versions), this is the time to make the move. Don’t wait too long, though — this special offer ends Friday, February 26, 2010. Note: In order to redeem the 10% savings, you must enter promotion code 10offAdobe101 (or 10offAdobe102) when checking out your shopping cart at the online store, and have a shipping address in the U.S. or Canada. – Watch a full-screen video from the movie’s producer on how Adobe software was used throughout. – Download the free interactive Avatar app. Adobe is offering free Fedex shipping on all Education products at select Adobe Education Stores. Offer valid until February 22, 2010. 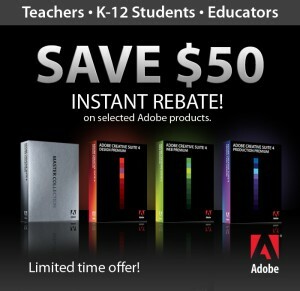 Plus, students, teachers, and faculty can still save up to 80% off regular prices at the Adobe Education Store. Also there’s another promotion where if you’re a teacher or K-12 student in North America, you can save $50 instantly on the already-reduced price of a “Premium” version of CS4… This one is valid through February 28, 2010. Adobe has just launched a new Volume Licensing Store in the UK and Europe, to go along with the one it opened online last year for North American customers. These sites can save you money, time, and provide benefits not found elsewhere – and make it easy for organizations of all sizes large or small to gain the advantages of volume ordering. If you use multiple copies at your location (or may in the future), volume licensing is a good idea to consider – in addition to getting a discount on your software, you also simplify maintenance and upgrades enormously, as there is only one license key to deal with for all your systems… Administration becomes a snap and almost all Adobe products are eligible – and discounts can begin with as little as one copy. It’s simple because it’s all online, and there are no membership requirements or signature “contracts” to sign. Plus you can conveniently charge your order instantly to a major credit card or PayPal, and download your software right away. Then once you’re registered it’s easy to add users via the flexible online management tool. Further there is an option called Upgrade Plan where you are assured of automatic access to all Adobe upgrades for your covered products during the life of your plan – at your convenience and all at a single cost per licensed product. If you like, there’s a new tool to get an Instant Quote for the products you’re interested in. And right now there’s also an offer going on where you can get 5 copies for the price of 4 – check it out at the Adobe Specials page. Learn more with our full coverage page on Adobe’s Volume Licensing program. It’s that time of year again, and as has been the case in recent Decembers past, Adobe is offering free FedEx ground shipping to its commercial and education store customers for the holidays, pretty much worldwide… Just choose the store you want here and take it from there. The offer runs through Monday, December 21st, and you should be able to see the details on each page of your store. If not, you can find the complete terms for North America in English here, and for the UK and Europe here: in English, French, or German. 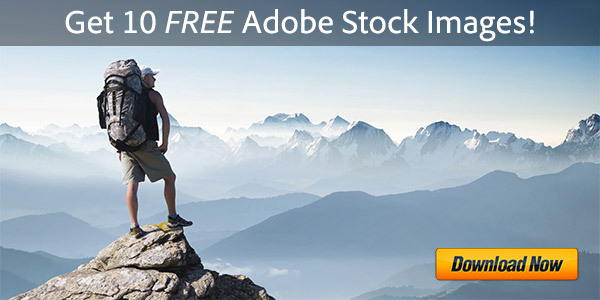 Save $50 + Free Shipping on Adobe Elements 8 Bundle. Only $99.99! Save $40 + Free Shipping on Adobe Photoshop Elements 8 for Win. Only $59.99! Save $40 + Free Shipping on Adobe Photoshop Elements 8 for Mac. Only $59.99! These specials are good for seven days only, until Cyber Monday, November 30th. 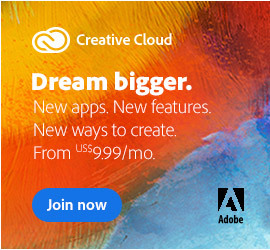 And if you prefer to try before buying, you can immediately download any Adobe application you like as a fully-functional 30-day free trial, then later activate it within the period for the discount. For Black Friday Deals on anything else, well there’s always Amazon! Most people know that “CS4” is both a version number for major Adobe applications (thirteen of them), as well as the given name for a number of suites or collections of those applications. But with six differing suite choices out there, what is less well known is what’s actually in each of them – and which one is right for what you want to do? The CS4 collections come in several flavors – two for Web (Standard/Premium), two also for Design (Standard/Premium), Production Premium (which adds audio and video), and Master Collection (which includes every single CS4 app together in one big integrated bundle). Of note: The larger suite you buy, the more money saved. For example, with the Web Standard edition, you save 37% off the price of each of its products sold separately. But in going all the way up to Master Collection, you save over 60% off the individual components.